Today I am podcasting with a very grumpy Chihuahua! I have some works in progress to show you, a finished object which you have already seen but is a little more finished than it was, some lovely things, there is a little little along chat and I tell you about an event I will be attending and ask you what your yarn festival buying strategy is. Blueberry Waffle Socks by Sandy Turner in Patons Kroy Socks FX in Cameo Colors and The Knitting Goddess mini skein for the heels. The Patons yarn was a lovely gift from Kemper who has started an absolutely fantastic new podcast called junkyarn! This is the book I couldn't stop reading! My Sock Scraps Blanket got a few more squares added. Check out Jesse's magnificent finished sock yarn blanket!! Dreamy!! Sophora Hat by Woolly Wormhead in Madelinetosh Sock in the Vintage Sari colourway. 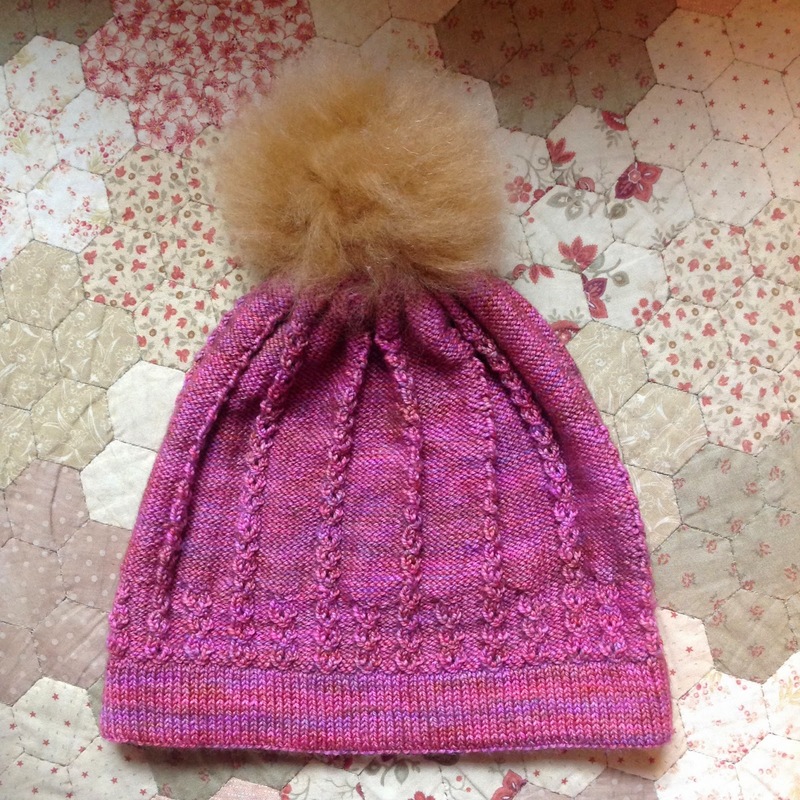 It's finally dry and I finished it off with a fluffy pompom from Toft Alpaca. Minis from Kemper and minis from Melinda of the wonderful Yarnderwoman podcast. 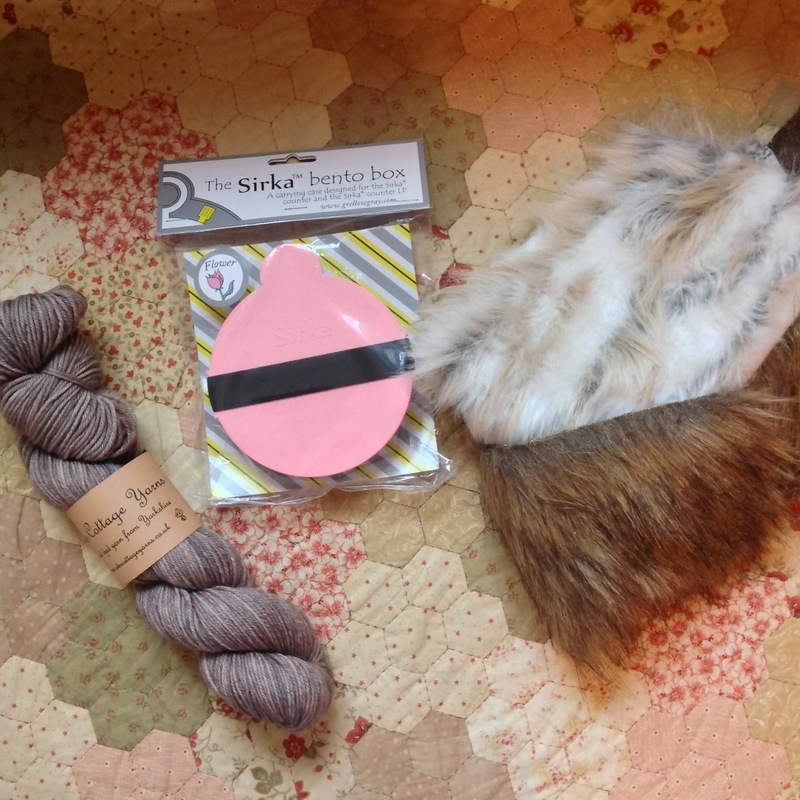 Lovely things from the gorgeous YAK in Brighton. I loved this shop and can't wait to visit again! Fake fur offcuts to try making the pompoms in Tiny Owl Knits new Wolfpup pattern. There are lots of prizes, check the FO thread for details. Who is going to Unravel? I am and I can't wait! How do you shop at festivals? Do you make a plan or just gather all of the goodies that catch your eye?